Our newest Lesson Leader is Lori Hartman, who writes the blog, Advocate For Possibility. If you haven't check it out, yuo should. Lori has a lot of great ideas and lessons that she shares. She is sharing with us her Reach Higher Future Lesson. It's a great lesson to get middle schoolers thinking about their future. I love the use of Padlet, which I have never used, but I am now adding to my Tech Tools To Try List. This week I have been in my 8th grade classrooms working on future planning. Over the years, this lesson has become one of my favorites. Students want to have a chance to consider what the future holds in store, and they want to do well and work hard. The lesson has evolved over the years and more technology has been introduced. Day One is Introduction to thinking about the future which includes thinking about passions and interests. I use a couple short videos to start the conversations about what is possible with education and career choice. I create a padlet with 3 columns: What I know about HS/What I wonder about HS/What I plan to do after HS. I have students think about and respond to the prompts for about 5-7 minutes. Once they are done, we talk about the responses and answer some of the questions and concerns. The nice part about this format is that I have the chance to "hear from" all the students. The participation helps us break the ice and see that many students have the same concerns and plans. On Day 2 we talk about interests and the students complete an Interest Inventory on Career Cruising called Matchmaker. At the end of the inventory, a list is generated of about 40 careers based on the student response to the questions. I ask students to save 2 of these careers to their EDP (Educational Development Plan) and to think about short term goals to reach these career goals. On Day 3 students take a learning style inventory and talk about ways to be successful in any classroom. I walk them through the high school requirements, electives, career tech center offerings and ways to earn college credit during high school. Day 4 students create their EDP by entering all required courses into the plan. 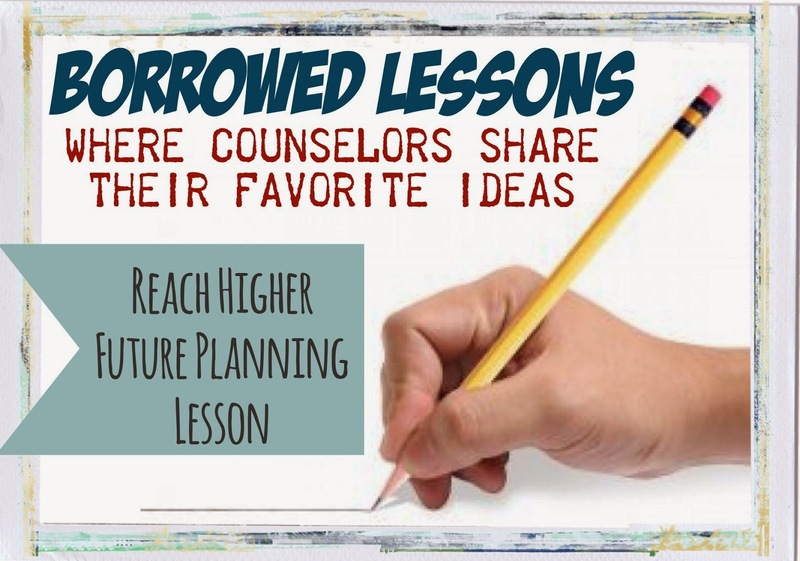 I help them choose the electives for 9th grade year and begin to look at the many different ways students may plan for high school and beyond. Day 5 students submit the courses on the EDP for 9th grade by using the Course Planner in Career Cruising. These courses upload into Power School automatically as selections for freshman year. The following week I spend talking to each individual student about their plans and the different ways to reach their long term goals. This is a time I can answer any questions they may have about their own plans and a specific way to work toward them. I usually start by talking about the career they have tentatively selected, discuss post-secondary training, how high school courses tie into that, and finish by letting students know that finishing 8th grade strong is one of the best ways to prepare for high school. Do you have a great lesson you would like to share as part of Borrowed Lessons series? Just send me an email.